UPDATE: Did a bit more googling to find the buildings that were mentioned in the poster below (what can I say, I’m a curious gal)… Back then TLG displayed prototypes built by fans who were invited by TLG to join a workshop in Billund (lucky!). And there was also a prototype of the VW Beetle, and 3 other cars, a Mustang, an Aston Martin, and a DeLorean. Of course, we now know that the VW Beetle was finally produced but not the other 3. Here’s what the VW prototype looks like, next to the final product, the 10187 Volkswagen Beetle. Does anyone know where to get a clearer/hi-res image of that? 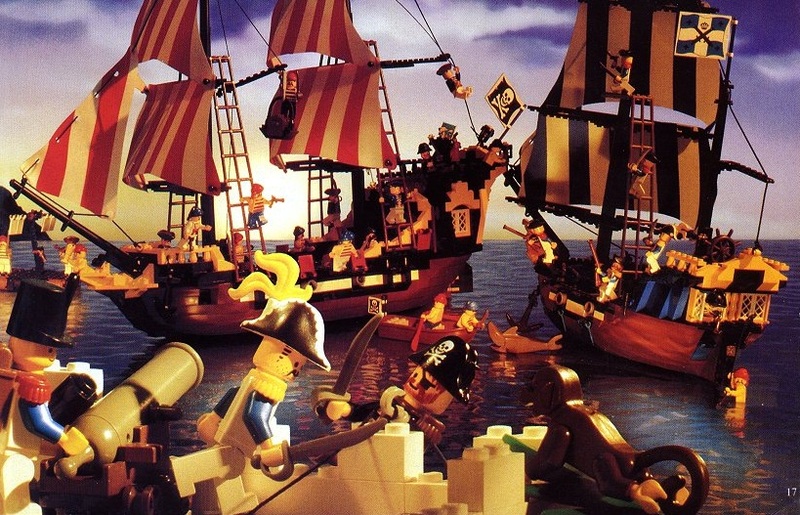 Anyway I came across this nice wax museum MOC and wanted to feature it. More on EB forum here or from shutinc’s Flickr account. Really reminds me of Marcos Bessa’s Ancient Lady’s Museum. Avast ye… and batten down the hatches. 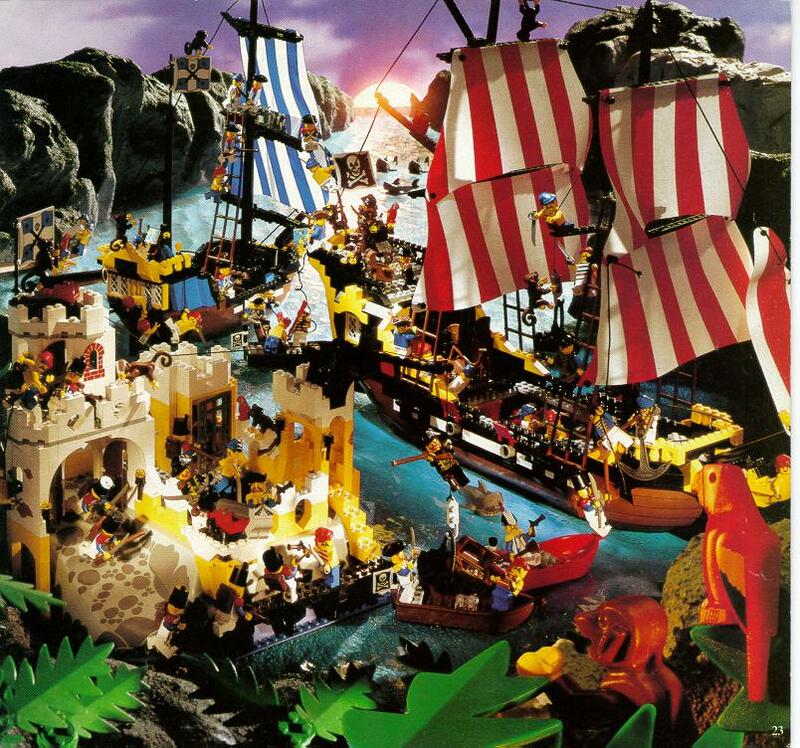 P.S: I’m not gonna be any good at all in ‘you nostalgia, you lose’… any one has other golden Lego classics to share? 5 years later in 1980, a new medical service set was finally released. Amazing enough, the next set took a long 19 years to release in 2006 (!). Which brings us back to the MOC I’d mentioned earlier. 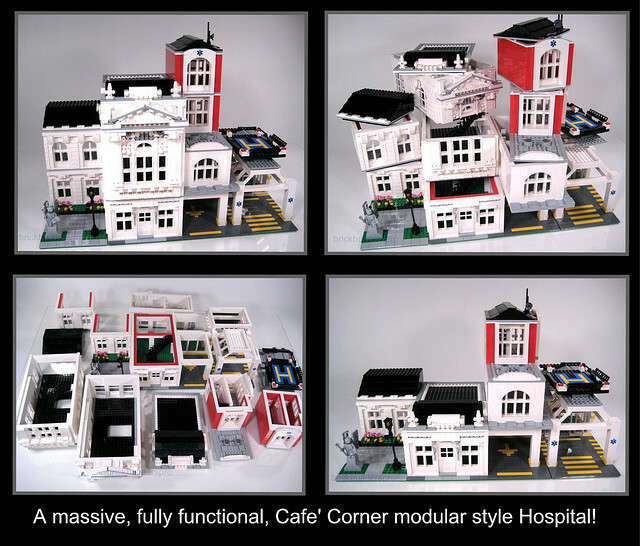 It’s by none other than the great lgorlando, who has revised his modular hospital (complete with interiors!). 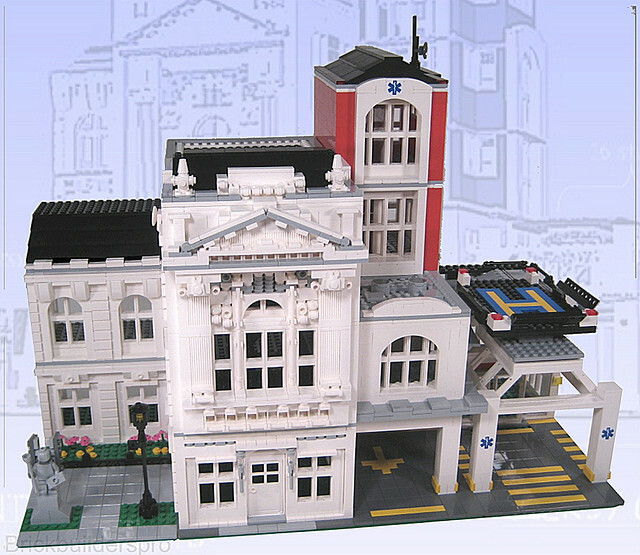 He has recently shared his revision on Eurobricks. Update: Oops, it was his previous version that came complete with interiors. Tho I’m sure interiors will come soon for this version too. 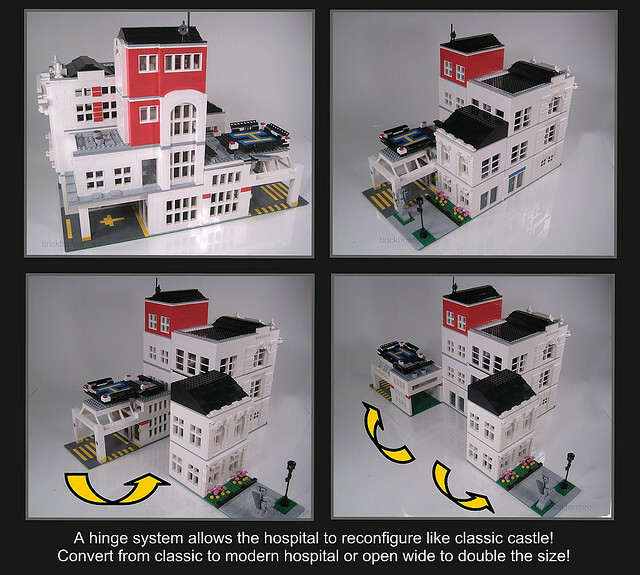 Btw, I think he sold copies of his hospital MOC (previous version) for like US$800 on ebay.